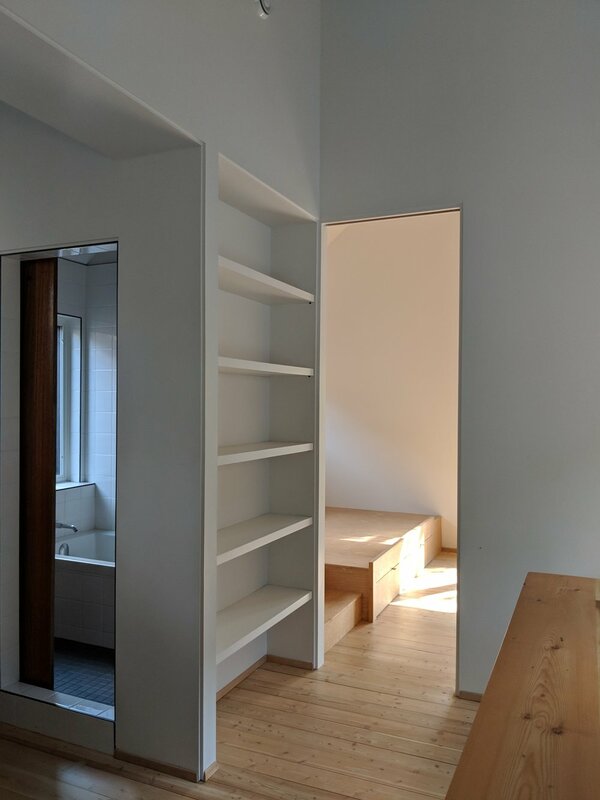 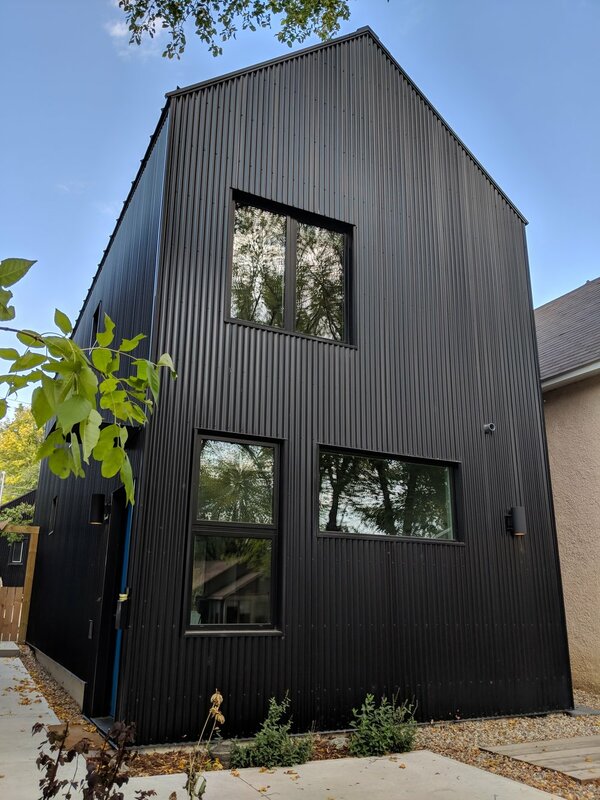 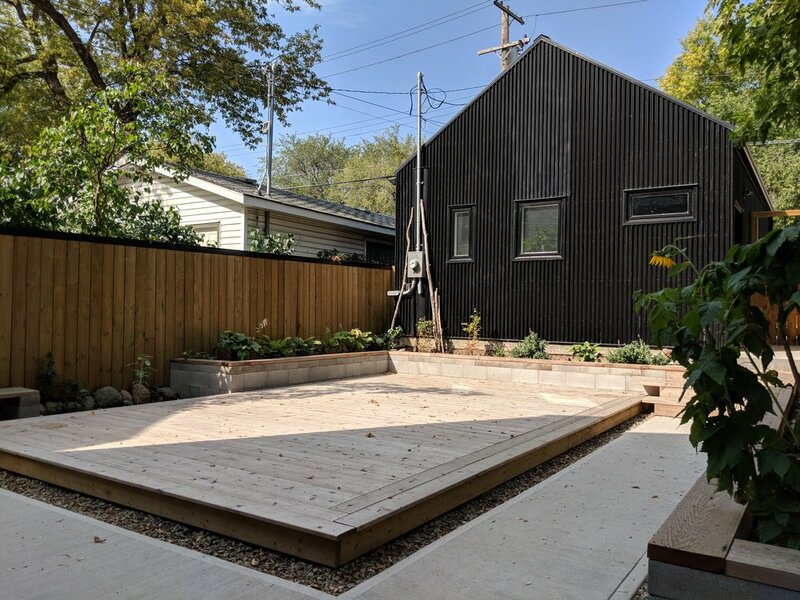 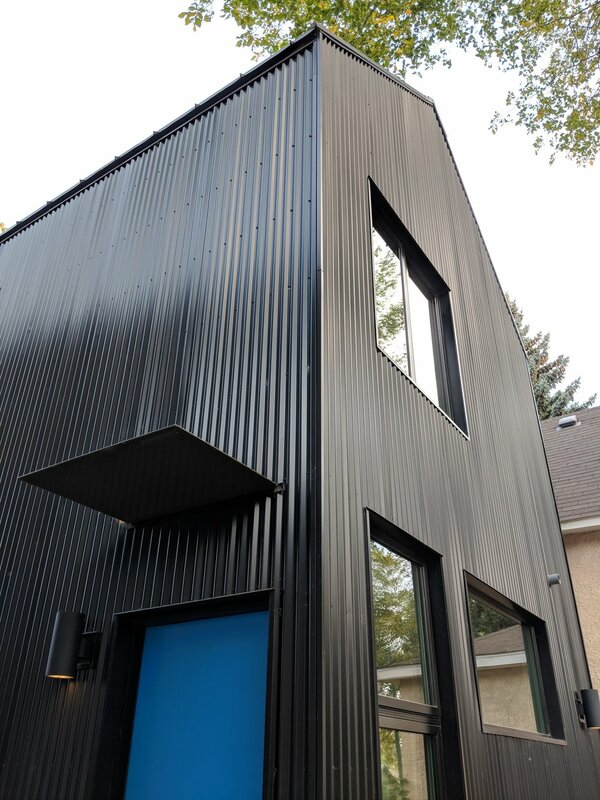 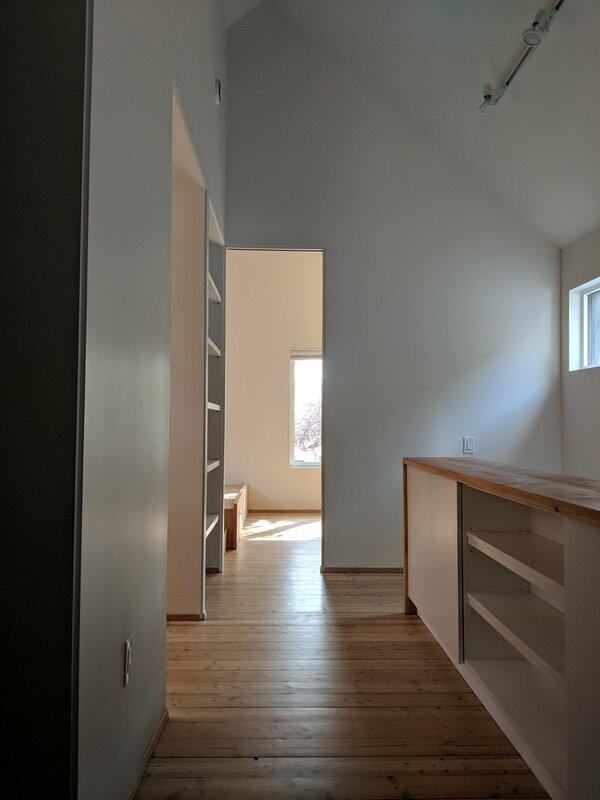 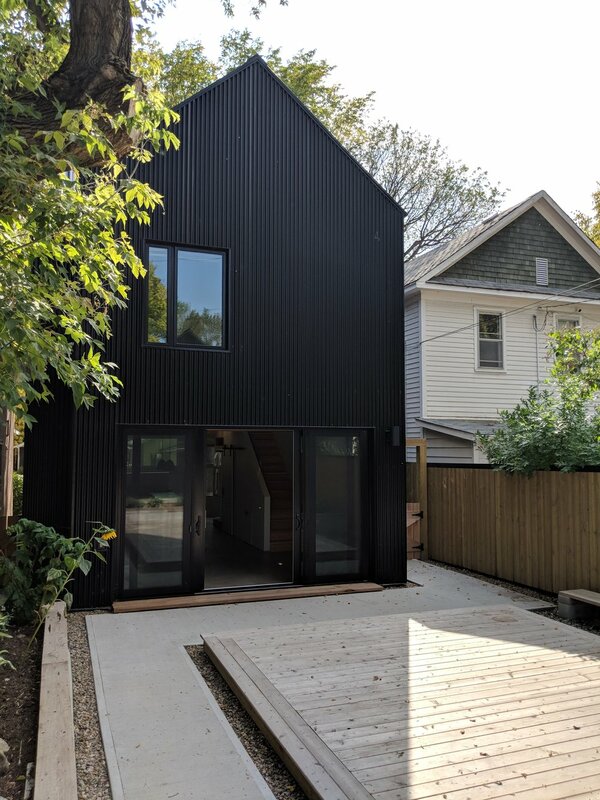 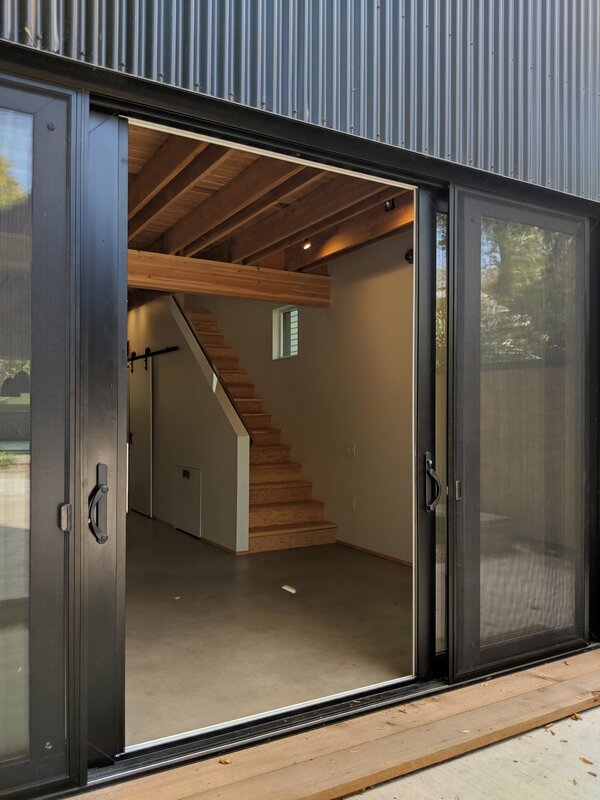 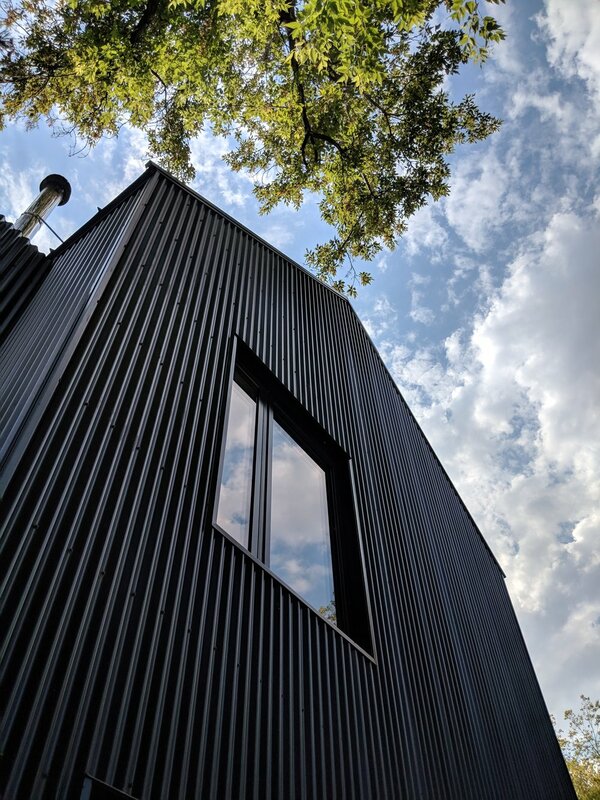 BLUE DOOR HOUSE — bldg.studio.inc. 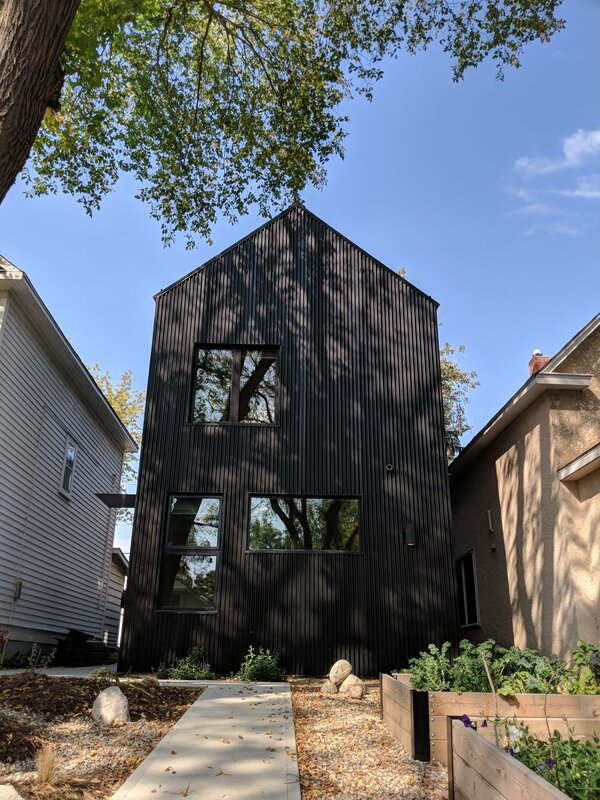 Situated in an established neighbourhood surrounded by traditional housing forms, the Blue Door House appears as a silouhette of the house next door. 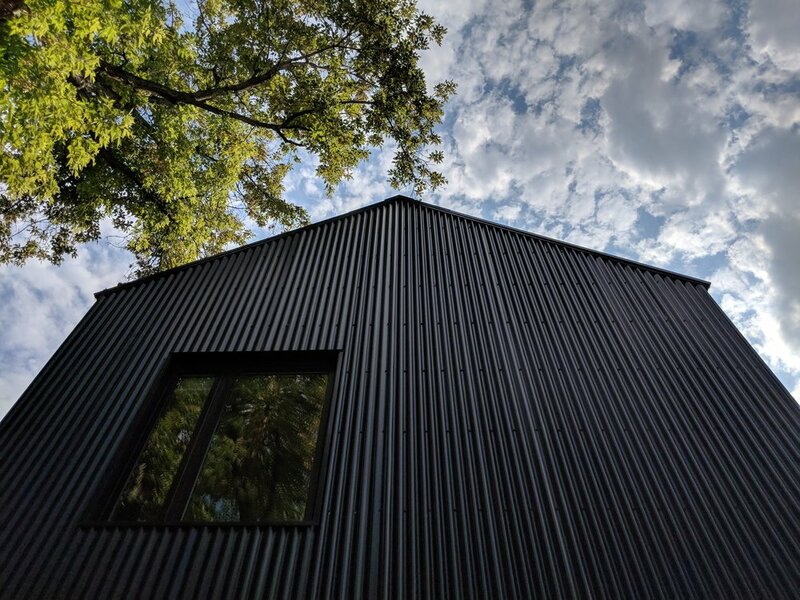 Clad in black corrugated steel with a gabled roof form, the house is a nod to vernacular forms interpreted for contemporary use. 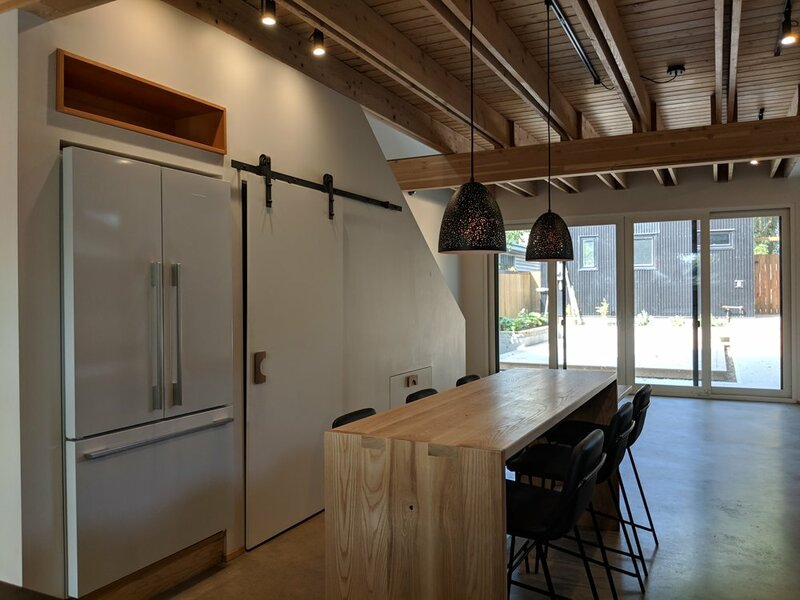 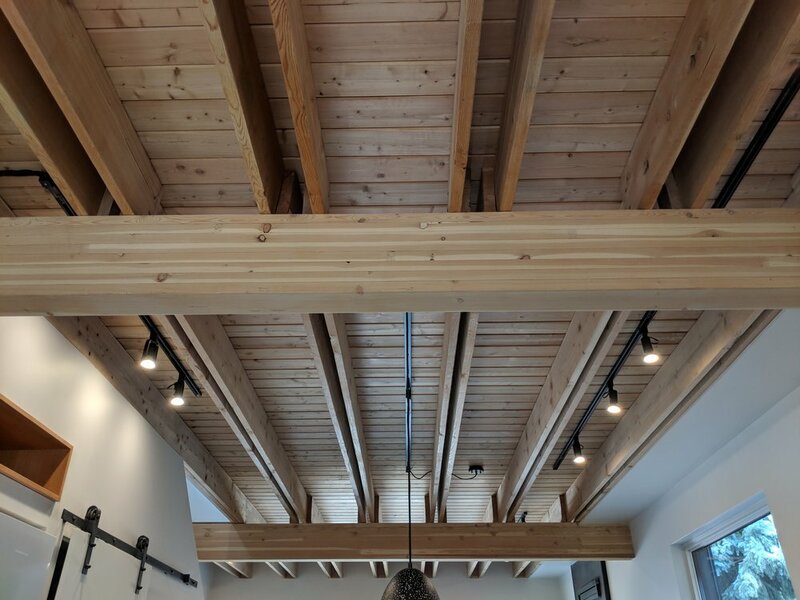 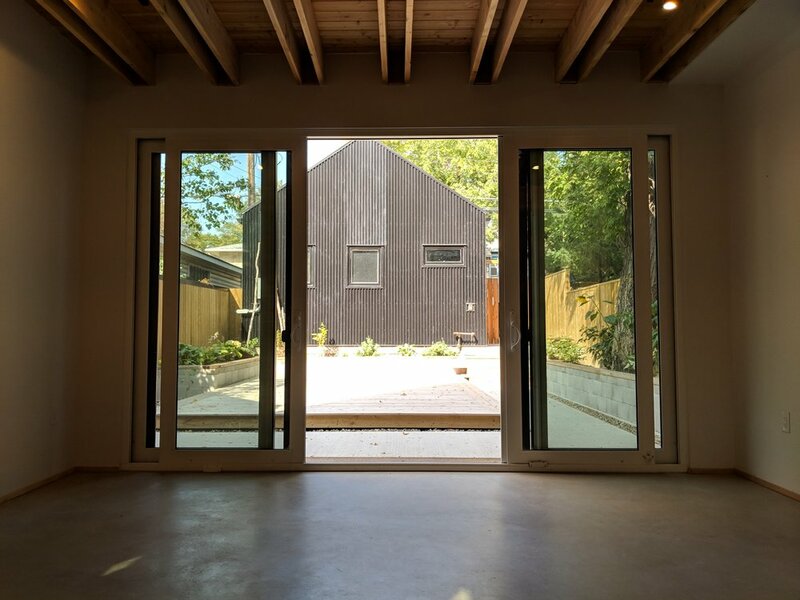 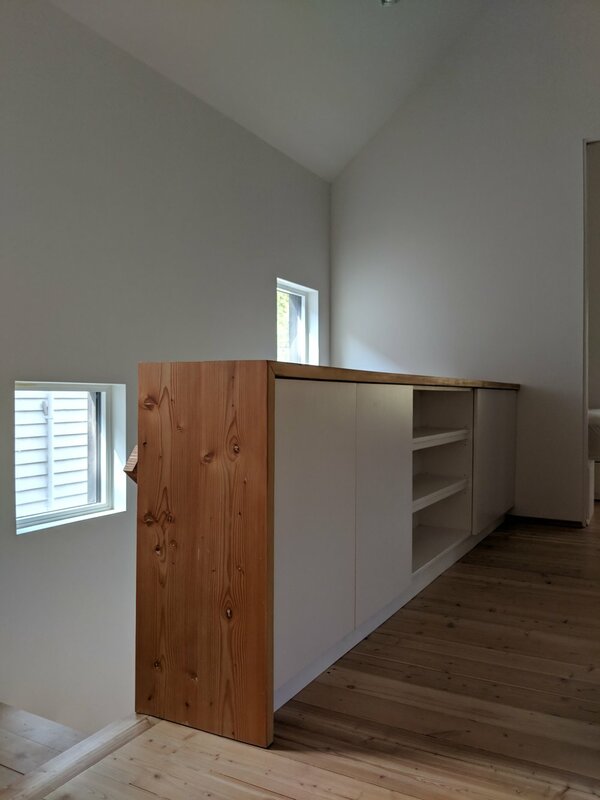 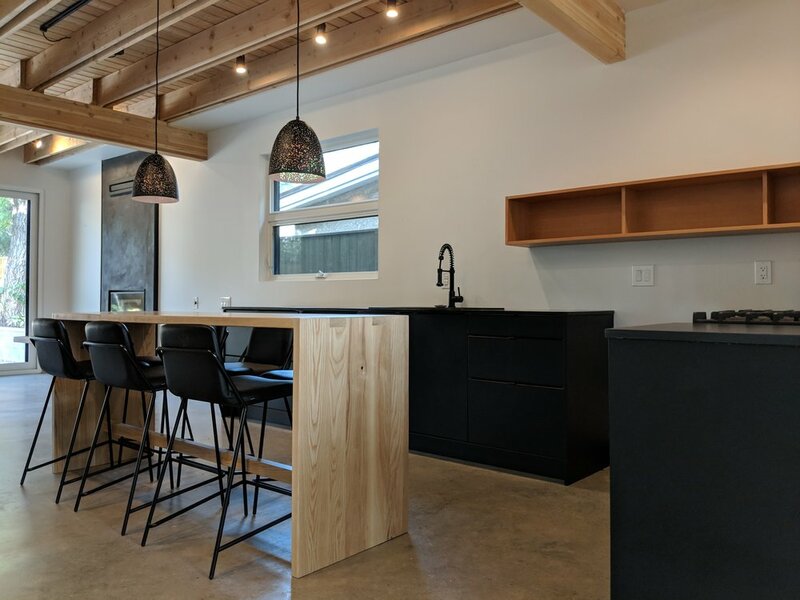 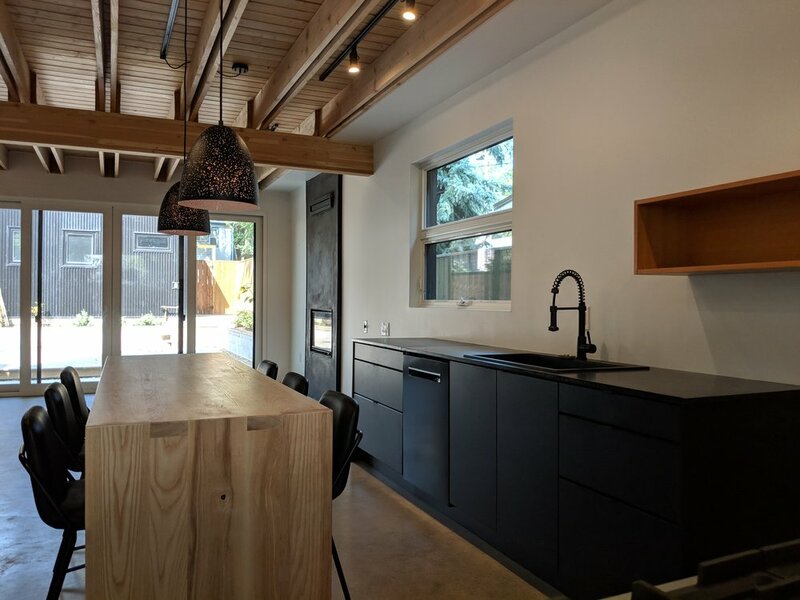 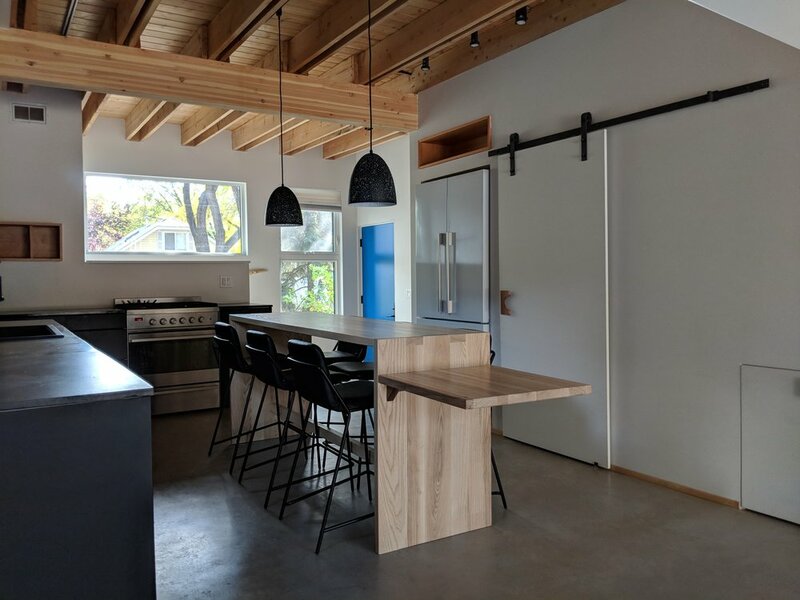 Interior construction uses large glulam beams, doubled joists and tongue & groove floors. 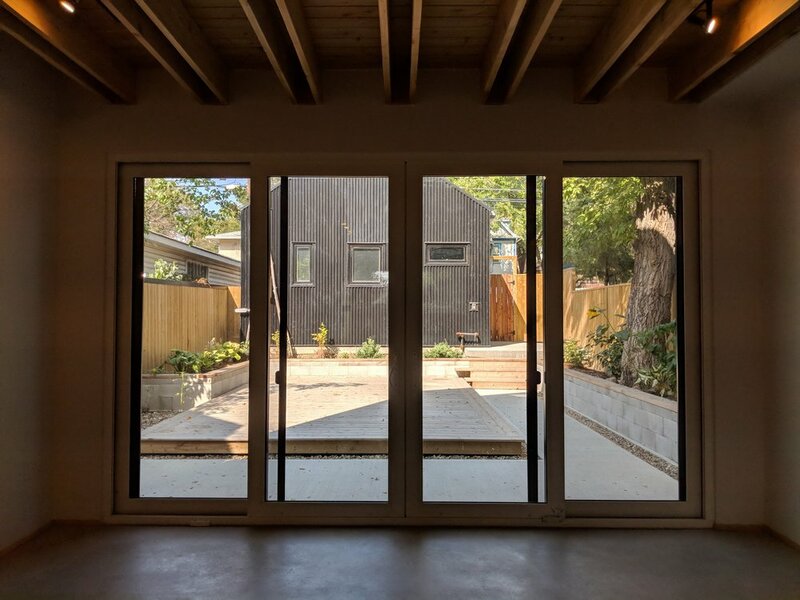 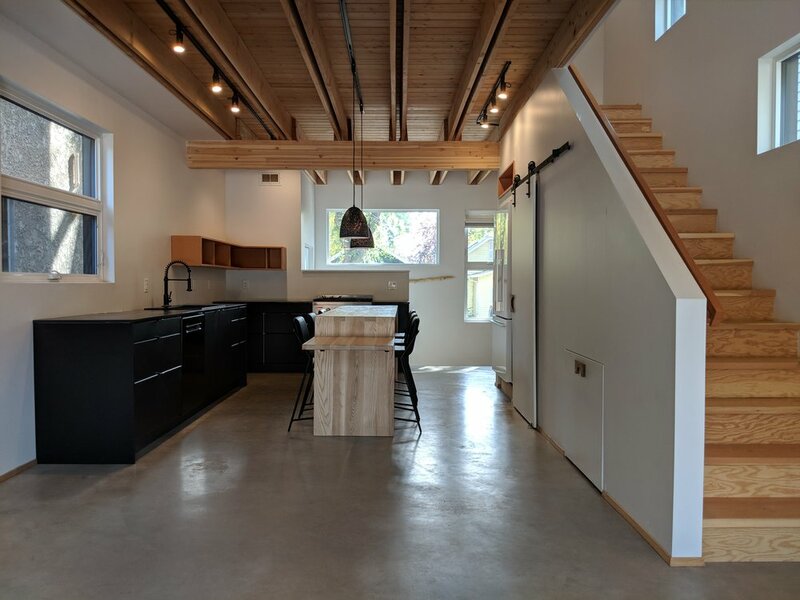 Radiantly heated concrete floors is set against the warmth of the wood and a plaster-finish fireplace is the focal point of the open concept main floor. 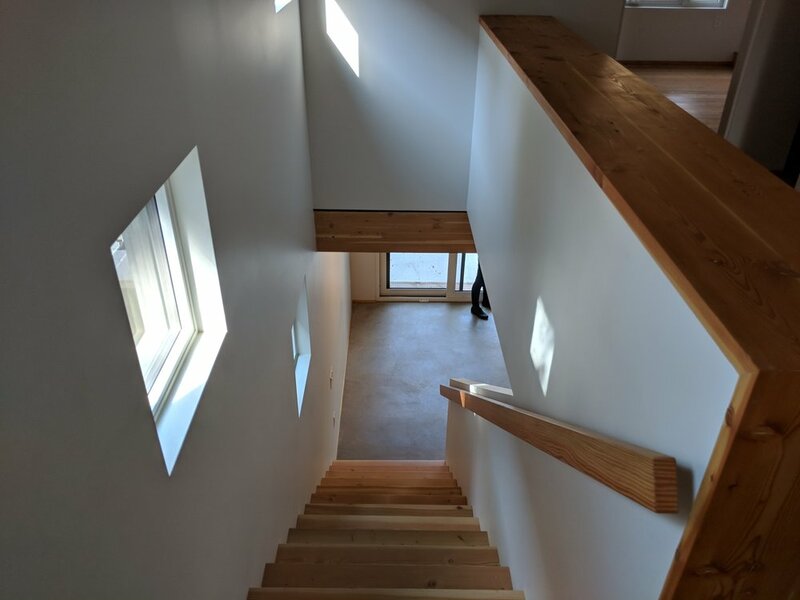 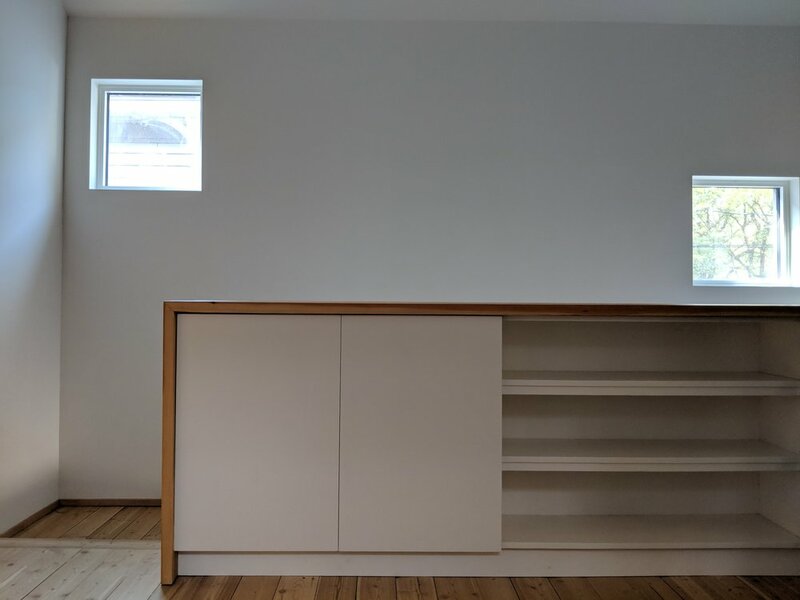 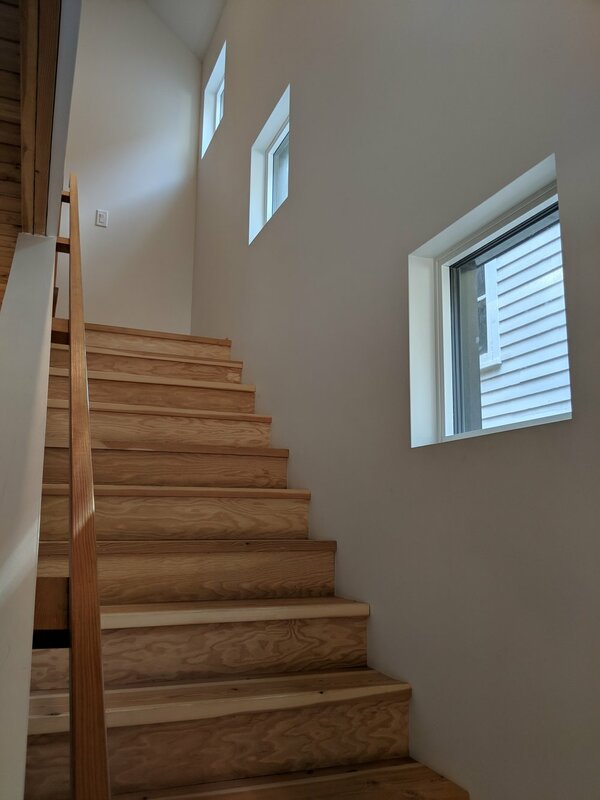 The upper floor is fully vaulted with a staggered window pattern to let in a diffuse light.